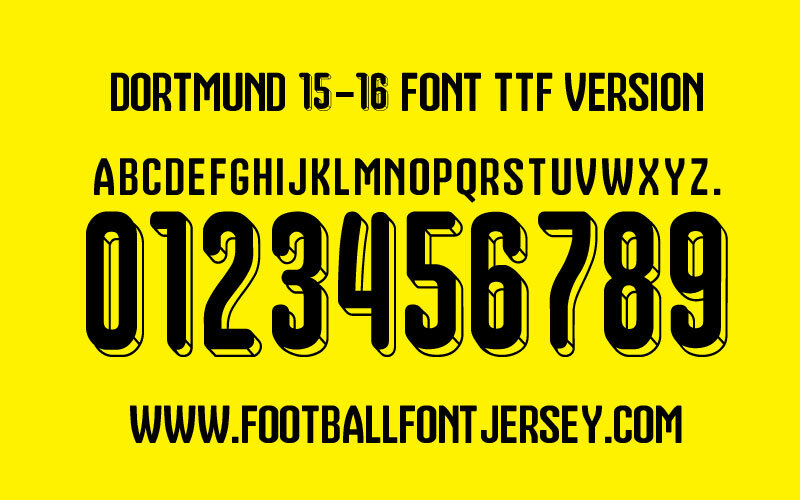 Now we update Dortmund font for season 2015/2016. 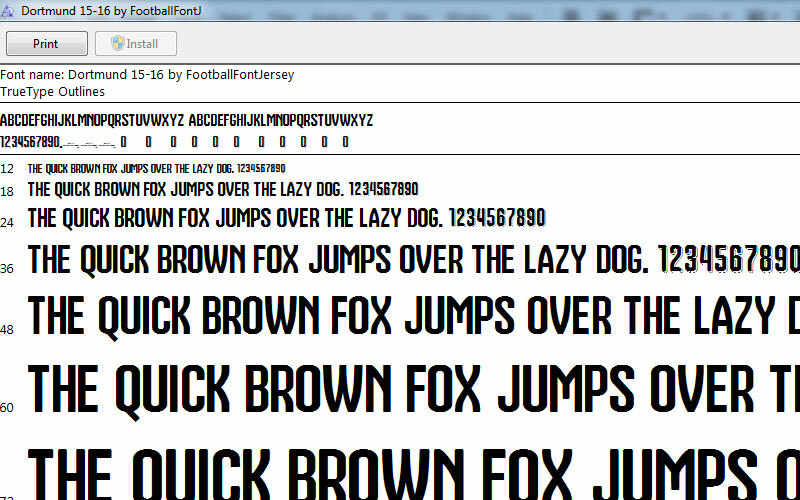 For letter same with last season but any change for number , have 3D effect with line. Number have round shape so look very cute with yellow colour combination. This entry was posted in Bundesliga, Dortmund and tagged 2015, Bundesliga, Dortmund, Font, Puma, TTF, Vector.